Laowa has introduced a couple of interesting lenses so far. Now they’re adding two new primes to their family: 25mm f/2.8 2.5-5X Ultra Macro and 9mm f/2.8 Zero-D. Both lenses come in several different mounts and promise high-quality image at a pretty affordable price. Check out the specs and a hands-on review after the jump, and see if there’s something new to add to your gear bag. After releasing the world’s widest 1:1 macro lens, Venus Optics have announced another pretty unusual lens. 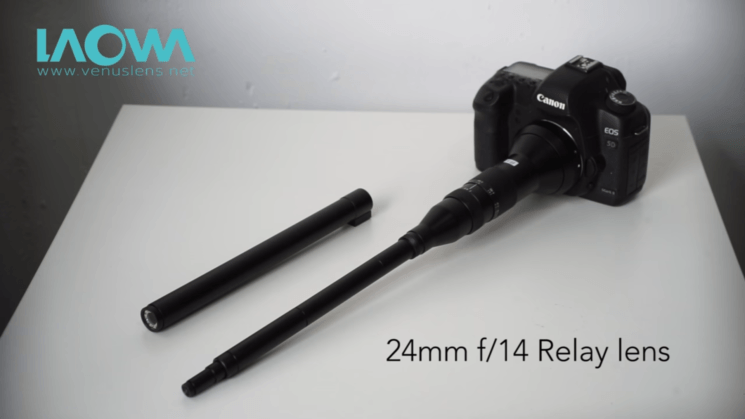 Their Laowa 24mm f/14 telescopic macro lens looks quite weird, to say the least. It’s designed not to disturb “shy” subjects, and it was presented at Photokina in 2016. So, it features an almost 2 feet long telescope with makes this lens officially the strangest one I’ve ever seen. The lens is not officially out yet, but Venus Optics has released three sample videos to show off the lens’ capabilities. Looks strange, but it does a pretty good job.